Sold exclusively online from JAL Shopping Americas! 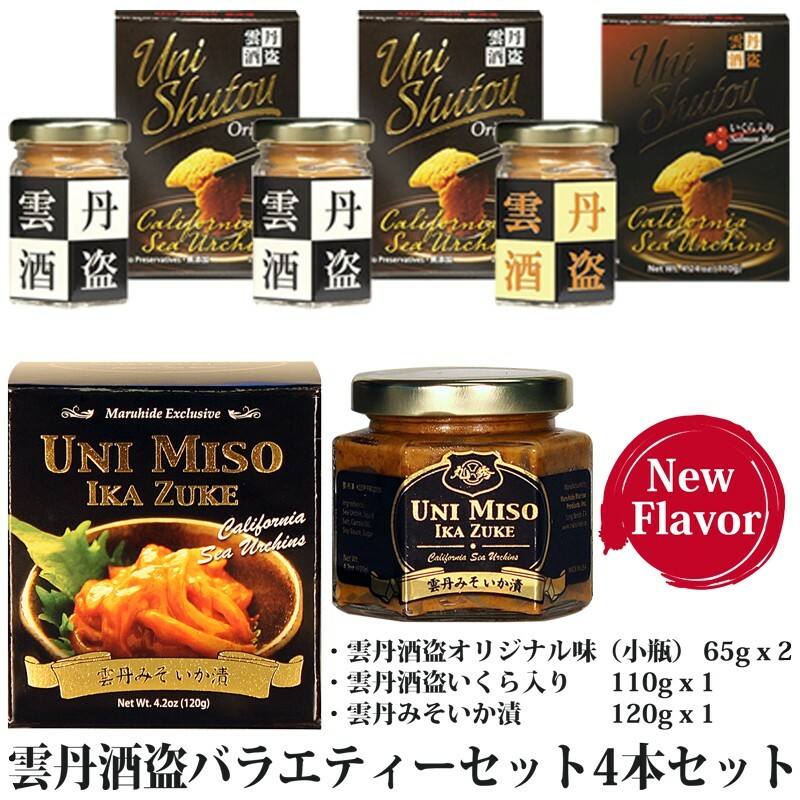 The delicious "Uni Shutou" is made using only fresh sea urchin from Santa Barbara, California. They are marinated in kombu-shoyu (kelp base soysauce) to enrich the umami-flavor, and carefully packed in a jar. Freshly caught whole uni is marinated in Kombu-shoyu overnight. Added premium quality salmon roe from Alaska to blend perfectly with the Uni. Sea urchin paste combined with Sashimi grade Mongo-Squid ("Ika Zuke").